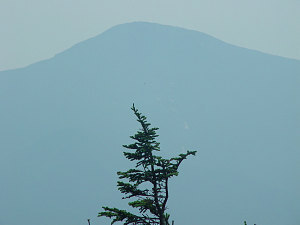 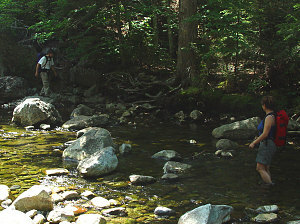 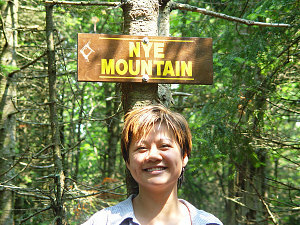 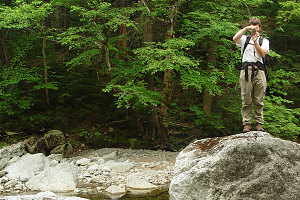 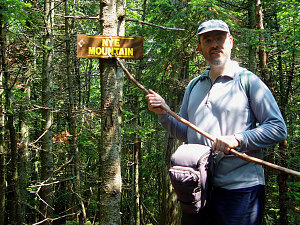 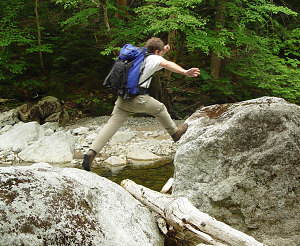 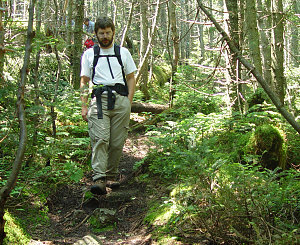 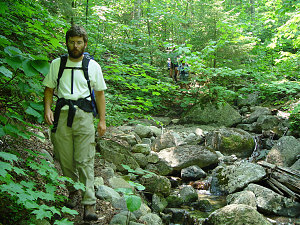 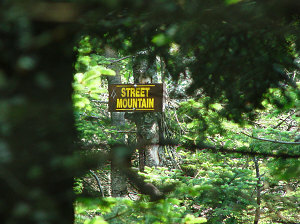 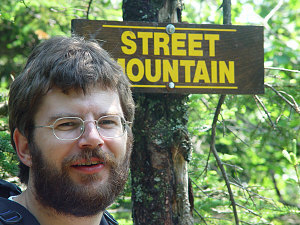 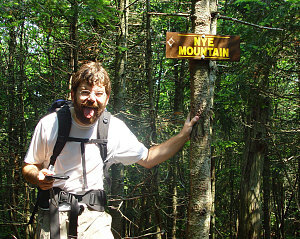 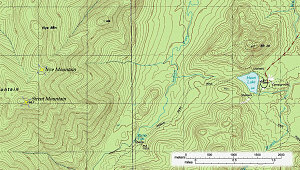 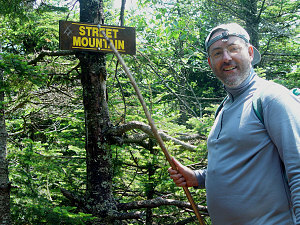 Street and Nye mountain are two 'trailless' peaks in the Adirondacks. 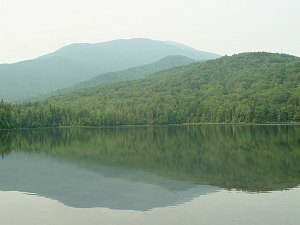 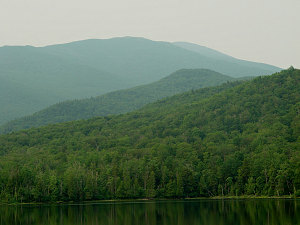 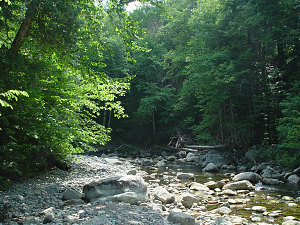 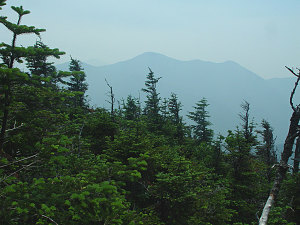 They are two of the so-called "46 peaks in New York state over 4000 feet" (although Nye was later re-surveyed to be slightly less than 4000', it has remained on the 46er list). 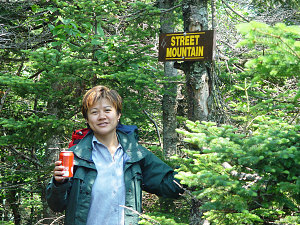 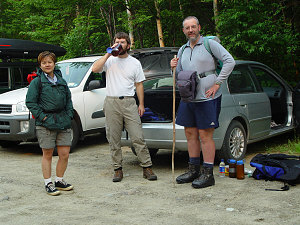 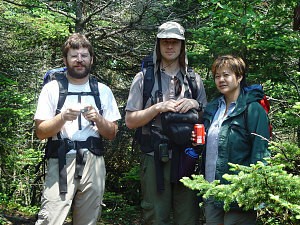 Markus, myself, Phuong and Ewart decided to hike these two peaks on Saturday, July 6. 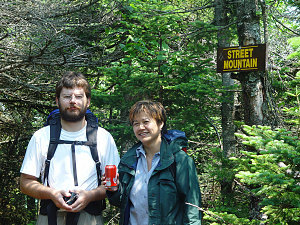 Although the route is officially trailess, a pretty good semi-maintained path exists. 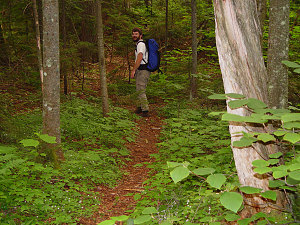 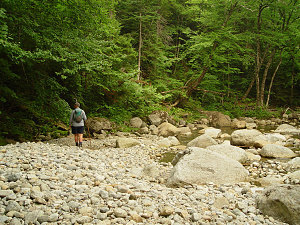 Total distance from Adirondack Loj and back is about 15 kilometres. 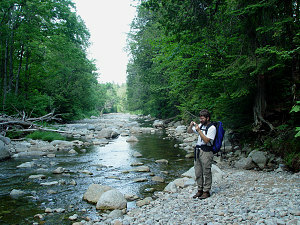 Ewart again enlightens us as to our location.